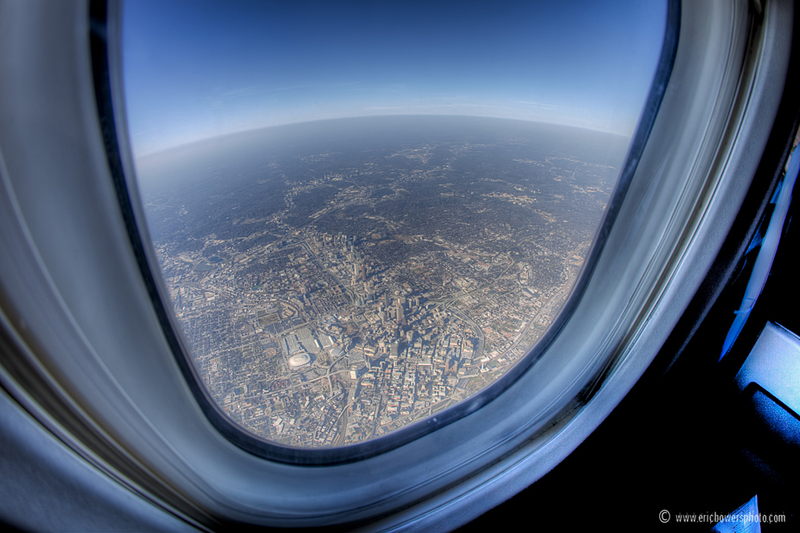 Fisheye lens view of downtown Atlanta from a Delta Airlines flight. On my ride to San Juan on Thursday the 17th I had a stopover at the Atlanta airport to connect. Here we have downtown Atlanta seen via my fisheye lens with a window seat on the left side of the Delta flight. Another fisheye out the window of a plane from back in February HERE. 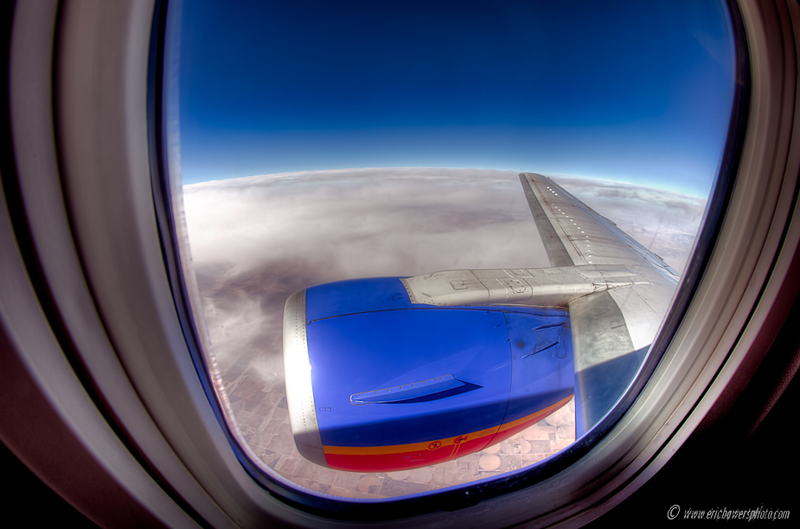 For two days this week I had an event photography gig I was working in Arizona – this shot was taken looking out the window of a Southwest Airlines flight from Kansas City to Phoenix this past Wednesday. Of course, the distortion from the fisheye lens makes the Earth appear round, which it is of course but the effect was exaggerated here owing to the lens construction. I wasn’t so lucky to get a window seat on the return trip.